Connecticut is covered with great events that help you enjoy the holiday season. Below we’ll list ten throughout the state that we think are worth the visit. The park will be covered in hundreds of thousands spectacular glimmering lights with shows every half hour set to your favorite holiday music. Enjoy a selection of children's and family rides, variety of delicious foods, and don't miss your chance to see Santa himself. Located in downtown Hartford enjoy free ice skating, free rentals, and much more! The Greenwich town tradition continues for the Tenth year! From November 23 through December 24, 2018, Santa's LIVE Reindeer will be in town. Located in Hubbard Park in Meriden, The Festival of Silver Lights transforms the park with over 350,000 lights and 200 figures. Board the Essex Steam Train locomotive-powered sleigh for a nighttime journey to the North Pole. Every coach becomes a stage for a live musical performance of “The Night Before Christmas.” Celebrate the spirit of the season with Santa and Mrs. Claus, sing-a-longs, hot chocolate and delicious sugar cookies. Fantasy of Lights is held at Lighthouse Point in New Haven, Connecticut and is presented by Goodwill of Southern New England. 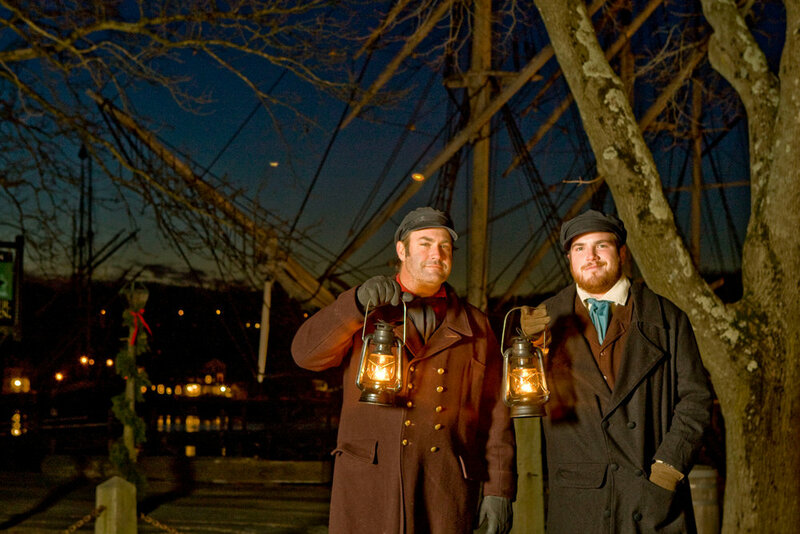 Located at Mystic Seaport Lantern Light Tours: Finding Your Place is set on Christmas Eve in the year 1876. The roughly 90 minute play offers small windows into the lives of people on the verge of great change, both personal and cultural. The show includes five scenes of seasonal delight, featuring a winter fantasia, a spirited circle dance, and perhaps a visit with old St. Nick. For several weeks each winter, the Osborne Homestead Museum in Derby is transformed into a holiday showcase. Local garden clubs beautifully decorate all the rooms in this historic homestead. Those that visit at this time of year enjoy the sights and sounds of a traditional holiday celebration during a special guided tour. Chef Jon Lovitch is the creator of Gingerbread Lane, a 3-layered gingerbread village display at the Children’s Museum in West Hartford which takes 10 months and over 800 hours to complete from start to finish. This year marks Chef Lovitch’s 25th year creating these elaborate and delicious creations. Located at the Connecticut Trolley Museum in East Windsor, Winterfest & The Tunnel of Lights takes you on a ride filled with holiday cheer and lights to impress.